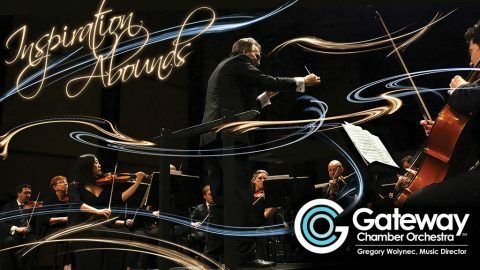 Clarksville, TN – Tickets are on sale now for the Gateway Chamber Orchestra’s 10th Anniversary Season – Inspiration Abounds. The four-concert Masterworks Series will explore composers that have shaped the Gateway Chamber Orchestra (GCO) over the past decade, culminating with a new festival dedicated to Franz Joseph Haydn in April. Internationally acclaimed soloists are scheduled to perform, including Los Angeles Philharmonic principal clarinet Boris Allakhverdyan. Season tickets are available now for the Gateway Chamber Orchestra’s 2018-19 season – Inspiration Abounds. The 10th anniversary season presents the works of Franz Joseph Hayden, Wolfgang Amadeus Mozart and other composers who have come to define the GCO’s sound and approach, as well as a wide selection of American composers and top-notch guest performances. Join the GCO for a classical musical experience that will surprise and entertain as you listen to some of the most noteworthy musicians in the Southeast. This season begins with a slate of American originals, and the following concerts feature other GCO favorites, including Wolfgang Amadeus Mozart. In addition to the Masterworks Series, the Gateway Chamber Orchestra offers two special events, including a family-friendly concert in honor of Leonard Bernstein’s 100th birthday with a special reading by celebrated author Anna Celenza and the holiday favorite Winter Baroque. A new Spring 2019 event will be announced soon and promises to be unlike any other in the GCO’s history. Season ticket packages for the Masterworks Series plus the Bernstein concert and Holiday Baroque (six concerts) begin at $40.00 for students, $48.00 for military and $81.00 for adults. Season tickets for the Masterworks Series only (four concerts) begin at $30.00 for students, $36.00 for military and $60.00 for adults. Family packages are available as well. The Gateway Chamber Orchestra performs at Austin Peay State University’s George and Sharon Mabry Concert Hall, with events typically held on Sunday afternoons. 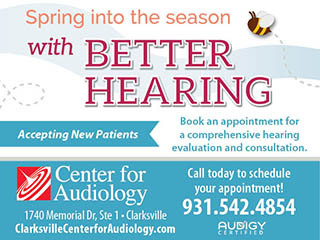 For more information or tickets, go to www.gatewaychamberorchestra.com or call 931.444.6240. Season tickets are on sale now. Individual concert tickets will be available August 6th. The GCO is a nationally-recognized cultural institution committed to enriching lives through innovative concerts, distinctive recordings and inspiring educational programs. Conducted by Gregory Wolynec, the GCO performs in two permanent homes – the Mabry Concert Hall on the campus of Austin Peay State University in Clarksville and The Franklin Theatre in Franklin. The GCO transports you to Vienna for a truly memorable musical experience. Explore the transformation of classical tonality in the 20th century with works by Arnold Schoenberg and his pupils as you discover these beautiful pieces by masters of the Second Viennese School. Our lineup of beloved treasures features three renowned composers – Wolfgang Amadeus Mozart, Richard Strauss and Pyotr Ilyich Tchaikovsky. Enjoy the stunning strains of the symphony penned for the Austrian town of Linz, while Serenade, Op. 7 and the Mozartiana suite serve as a tribute to Mozart’s influence on two later master composers. The GCO’s final concert of the season is a celebration of the music of Franz Joseph Haydn, composer of 106 symphonies. Nuanced performances of works by Haydn have appeared in every season of the GCO and have defined the orchestra’s sound and approach. Noted author Anna Celenza returns with an original script to celebrate Bernstein’s 100th birthday! This program is preceded by a children’s craft activity and instrument “petting” zoo at 2:00pm. Performance will be held at Madison Street United Methodist Church. Join the GCO for Baroque classics and the annual holiday sing-along.